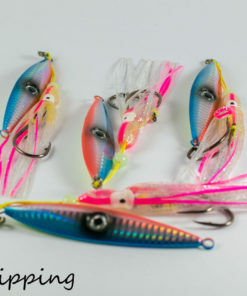 whiting rig a new type of fishing rig called a whiting Whisper is a type of fishing rig that can be fished a lot like a flasher rig or snapper snatcher but its designed to target Whiting and smaller fish like Black Bream Flathead and also the bread and butter fish of Australian Rivers and Estuaries like mullet, bay trout and redfin and trout. 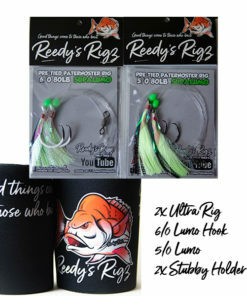 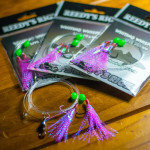 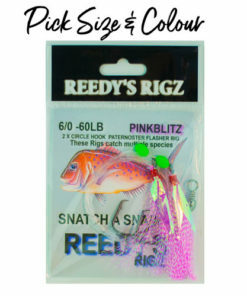 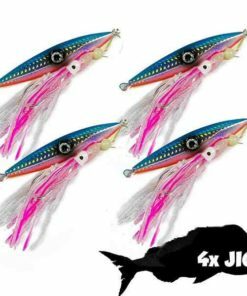 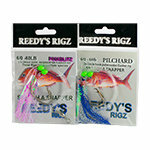 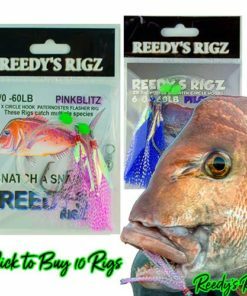 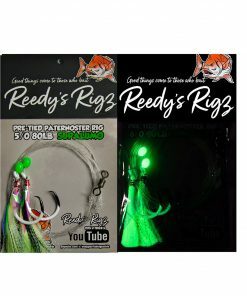 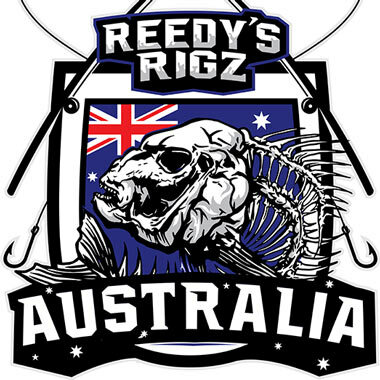 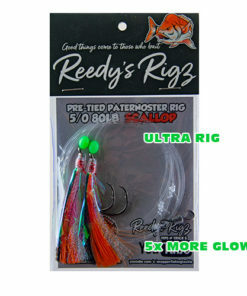 The fishing rig is a Saltwater and Freshwater rig that has inbuilt Lures that is like a fly attached to each circle hook . 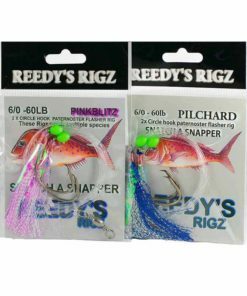 The fishing rig is based around a paternoster or dropper rig and the lures are built into the hooks which give you a double chance of catching fish because you bait the rig as well (and it acts like fly lure in this case “Live Prawn” or “Live Shrimp”). 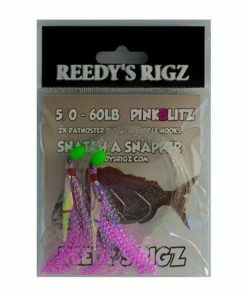 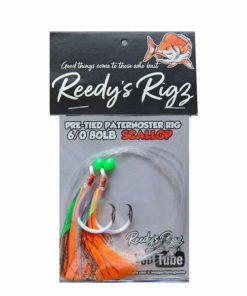 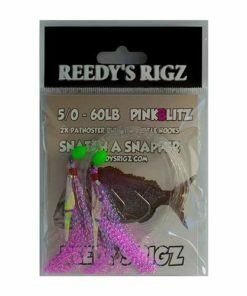 The rig is tied on 20lb leader with a swivel on one end and you place your sinker on the other end then tie it to your main fishing line , add bait and you are fishing! 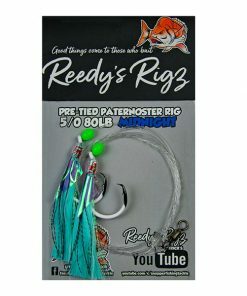 I have fished this rig for whiting and other fish over last winter & summer and had some excellent results . 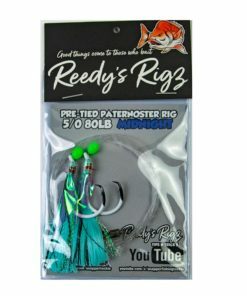 Where to fish A Whiting Rig & what fish can I catch ? 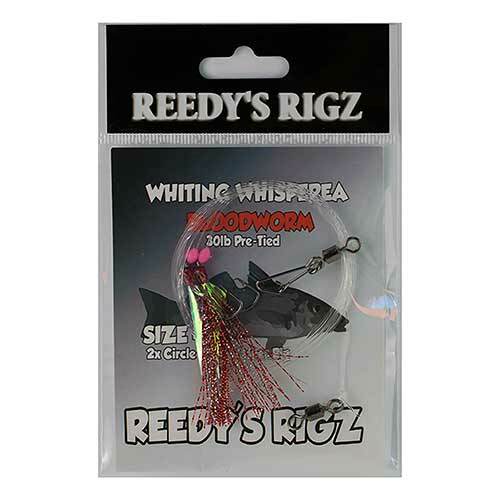 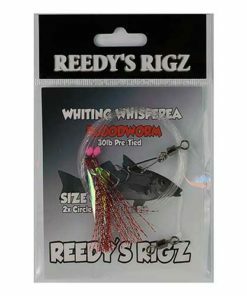 These whiting rigs are great to use from your local pier or jetty and it can be fished from your boat or from the rocks They come into their own in the surf as it is like having 2 surf poppers on steroids when baited correctly The salmon & tailor really go to town on these Whispera’s. 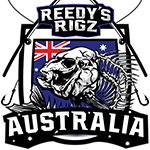 The fish i have caught on these Magic rigs are Flathead ,salmon, Black Bream,Yellow fin Bream , Mullet ,mackerel ,Australian salmon , Tailor ,Trout and red fin just to name a few . 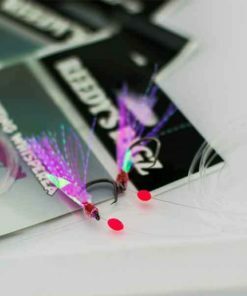 The lure or fly seems to give you that extra edge which would go along way if the bite is slow and might just give you that little extra bit to get the fish to come on into a hot bite . 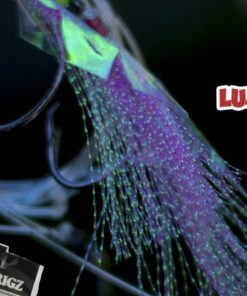 The best baits are simple, less is more and a small strip bait works a treat, pin it through the hooks once up one end of your bait and away you go . 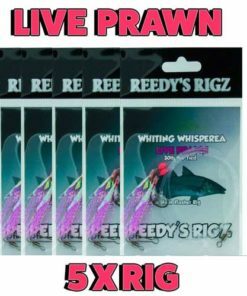 A live Bait prawn lure imation helps you get the most out of your fishing rig ultimately Helps you catch more fish ! Just like a snapper snatcher these rigs absolutely smash whiitting the fish lovem . 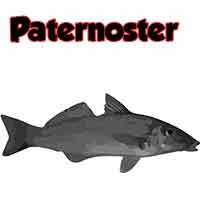 Also i fished Port phillip bay and western port in victoria with the same results .